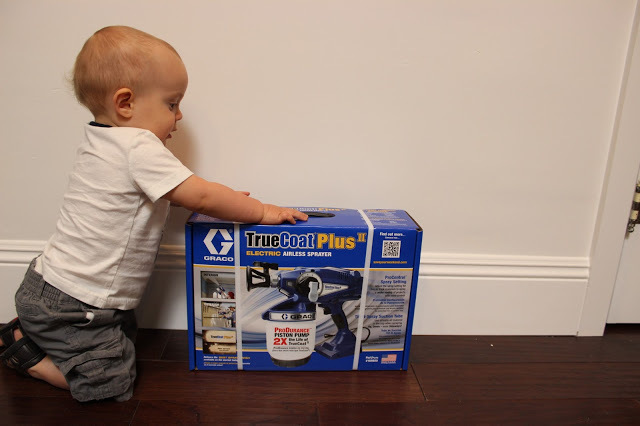 Graco TrueCoat Plus II Paint Sprayer Giveaway! We have so many projects that this sprayer is going to make life a million times easier for. Painting the remaining doors? Will be done in 15 minutes. Painting the massive built-ins we are doing in the family room? Pretty sure it will cut that time to a I dont want to hurt someone because i’ve been painting so long time. 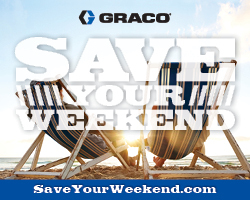 If you want more info on the product or choosing out a different sprayer for yourself, check out Save Your Weekend. Disclosure: This is a sponsored giveaway on behalf of Graco. The paint sprayer for me and the winner are given by Graco. All opinions are my own. Okay, I REEEEEEEALLY want to win this. I’ve been wanting to use a sprayer for our trimwork at the next house. Thanks for the chance! What a great product! I’ve been wanting one for a long time!!!! Thanks for the chance!